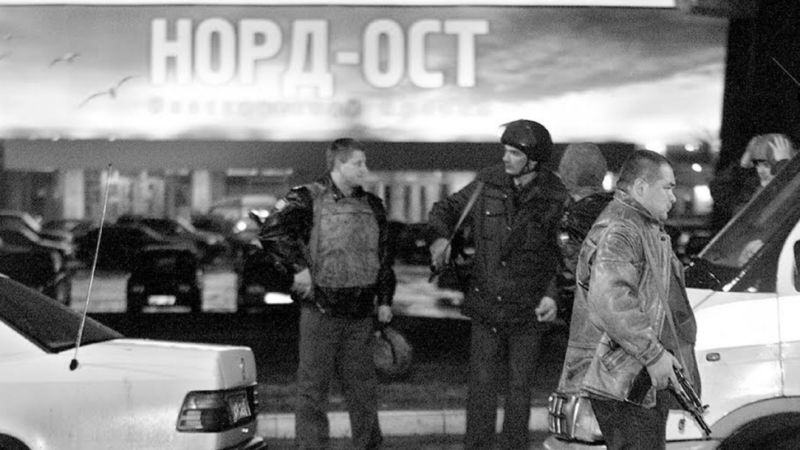 Fifteen years ago, a group of Chechen terrorists took more than 900 people hostage at the Dubrovka musical theater. 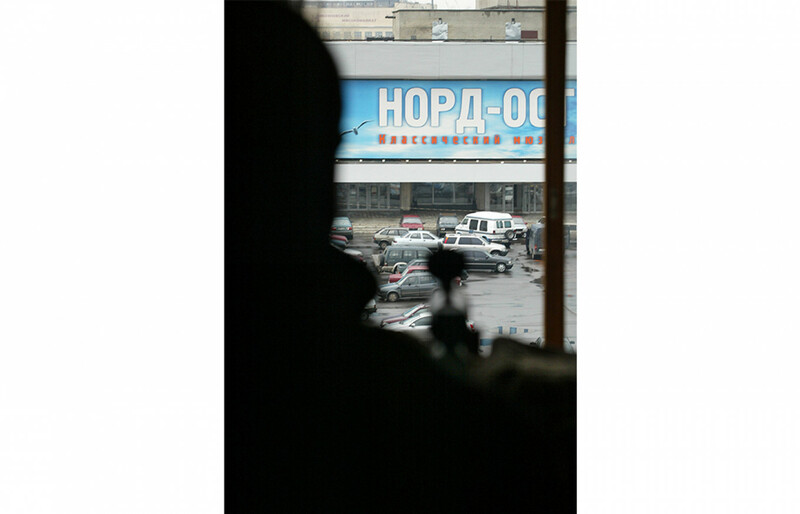 The attackers demanded the withdrawal of Russian troops from Chechnya. On the fourth day of the siege, Russian special forces dispersed an undisclosed anesthetic into the theater and stormed the building. 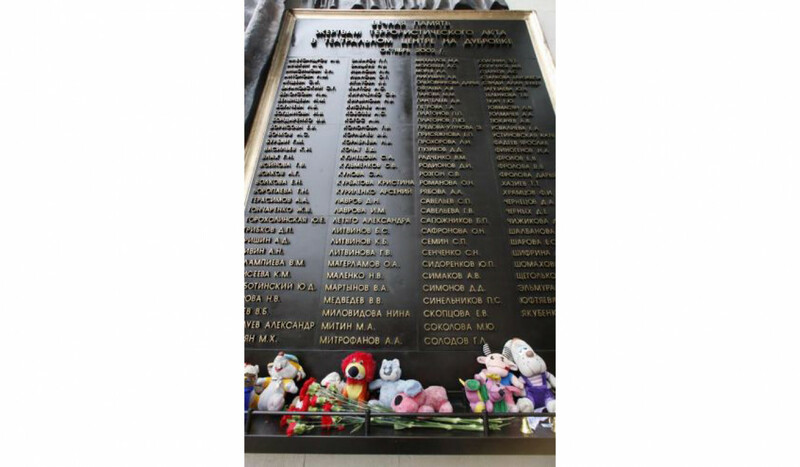 More than 700 people were injured by the chemical, and 130 hostages died, allegedly due to gas poisoning. To commemorate the tragedy, we are republishing this article from our archive, first published on Oct. 22, 2007. When Svetlana Gubareva woke up in the intensive care ward of a Moscow hospital, one of the first things she heard was President Vladimir Putin offering condolences to the families of the 129 hostages who died in the Dubrovka theater. Gubareva wondered what had happened to her fiance, a U.S. citizen, and 13-year-old daughter, who like herself was from Kazakhstan. But Putin did not utter a word about the foreign victims of the 56-hour stand-off, which began five years ago this Tuesday when 42 Chechen rebels stormed the theater in southeastern Moscow during a performance of the "Nord Ost" musical. The omission would have been insignificant if it were not for the fact that it encapsulates the way that authorities have blithely ignored the foreigners taken hostage in the attack, refusing to assist them in any way or even offer them the small compensation handed out to Russian citizens, Gubareva and others said. The government says 75 foreigners were among the 800 hostages. Nine foreigners died in the attack, including Gubareva's daughter, Sasha Letyago, and her fiance, Sandy Booker, of Oklahoma City. No government representative broke the news to Gubareva. While in the hospital, she found out from media reports that they had died. Still later, she learned from media reports and people who had helped identify her daughter's body that the girl had been crushed to death as she was sent by bus to the hospital under a pile of unconscious bodies. Gubareva said she struggled alone after losing the two. No assistance came from Russian authorities, her hometown of Karaganda or the Kazakh steel mill where she worked. Hundreds of sympathetic letters, however, poured into hermailbox from the United States, offering much-needed support, she said. "They were my psychotherapists because I did not have any professionals nearby and did not know how to go on," she said in a telephone interview from Karaganda, Kazakhstan. The only financial assistance came from a Pennsylvania-based foundation set up by U.S. citizen Andrew Mogilyansky to help terrorism victims. Gubareva said her life was filled with joy in the months before Dubrovka. She met Booker, a 49-year-old electrical engineer, through a friend, and after many e-mails and telephone calls made plans to fly with her daughter to Oklahoma City to live there permanently as a family. An interview at the U.S. Embassy in Moscow went well, and she was told she and her daughter would get visas. To celebrate, Gubareva, her daughter and Booker went to watch "Nord Ost" on the night of Oct. 23, a Wednesday. The second act of the musical had just begun with "The Dance of the Pilots" when a masked man charged onto the stage, shooting an automatic rifle in the air. "I thought at first that it was a bad joke, but Sandy immediately understood what was going on," Gubareva said. She saw a group of men with assault rifles drive the actors off the stage and force musicians from the orchestra pit and ushers into the audience. Booker cautioned the two to keep their heads down if shooting broke out. He prayed a lot, but at times he looked as if he had accepted the possibility that he would not make it out of the theater alive, Gubareva said. Rebel leader Movsar Barayev told the hostages from the start that the attack was part of the battle over Chechnya and that the rebels had no grudge against foreigners. He promised to release anyone who showed a foreign passport. Government negotiators, however, were reluctant to accept the offer to release the foreigners, saying they wanted women and children to be freed first. "Furthermore, we insist that everybody be released, without any distinction between foreigners and Russians," FSB spokesman Sergei Ignatchenko said Oct. 25, the third day of the crisis, RIA-Novosti reported. Gubareva, her daughter and Booker had no passports to show anyway. Booker had left his passport back at the hotel, while Gubareva's and her daughter's passports were at the U.S. Embassy awaiting visas. Booker, however, had his Oklahoma driver's license, and he handed it over to Barayev, Gubareva said. Barayev apparently had never seen one before and he examined it carefully. He did not let Booker or anyone else out that first night. "We won't let you go today, only tomorrow. I do not want your own people to shoot you and say later that we killed you. That's what happened at Budyonnovsk," he said, according to Gubareva. In June 1995, Chechen rebels seized a hospital in the southern Russian town of Budyonnovsk, taking more than 1,500 people hostage. More than 100 civilians died in the standoff. Gubareva said she feared for her daughter's life from the very beginning. When Sasha asked permission to go to the theater's restroom, she had to cross the foyer, putting her in the sights of Chechen gunmen who were covering the exits. Later, so many people were demanding to visit the restroom that the attackers ordered them to use the orchestra pit instead. The stench slowly made its way through the theater, Gubareva said, but a broken window in the foyer provided some relief. The captors freed 15 children under the age of 12 in the first hours of the siege, but Sasha, at 13, was too old. The girl soon grew hungry and thirsty, Gubareva said. The attackers brought some food from the theater snack bars and distributed it among the hostages. They also brought along a box of cash and asked the hostages, "Who needs money?" "We all remained silent, and they threw the box on the floor," Gubareva said. She said she later saw the money in the orchestra pit, used and discarded as toilet paper. Gubareva said she was too scared to eat but was very thirsty. Bottles of Fanta, Cola-Cola and mineral water from the snack bars ran out quickly, and hostages were offered tap water from the restroom. The problem was solved on the third day, Oct. 25, when investigative journalist Anna Politkovskaya convinced the attackers to allow the delivery of water canisters, Gubareva said. Politkovskaya, who was murdered last year, had rushed to Moscow from an awards ceremony in Los Angeles when the captors indicated that they would like her to act as a mediator. In the theater, all the hostages avoided sitting next to an enormous bomb placed in the ninth row, leaving a large circle of empty seats around it, Gubareva said. A female suicide bomber told Gubareva that it was "stupid behavior." "The bomb will not hurt some people more than others. There's enough here to destroy three buildings." she said. 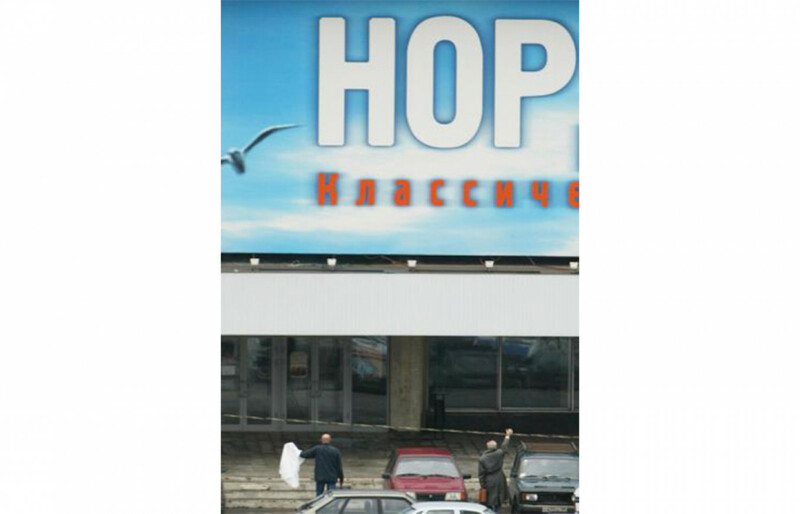 Gubareva said she saw a mother with children in the theater's balcony. The children were released, but the mother was told to stay. "I saw her crying and begging Barayev: "Yassir, they are little. They do not know their way in the city, and they will get lost." The hostages addressed Barayev as "Yassir," a polite form of address, after hearing the other captors address him this way, Gubareva said. Barayev finally let the woman leave with her children, she said. The captors did not allow loud conversation or movements around the hall, so the theater was eerily quiet except for the shooting, she said. 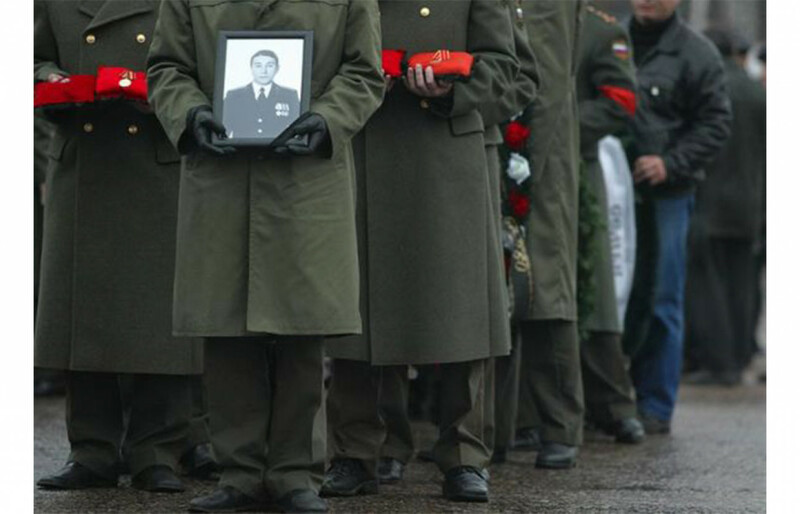 The Chechens shot at the doorways every time they heard a rustle outside. At one point, a young man near the back row got up and started to jump over the backs of the seats, and shots were fired directly into the hall, wounding a woman. Her husband's shriek at the moment she was shot was terrifying, Gubareva said. He was crying, "Liza, my daughter, they have killed Mommy!" But the woman was alive, and a female hostage with a relative in the Red Cross was given back her cell phone to ask a doctor to visit. "It was an accident, and as far as I know they did not kill any hostages on purpose," Gubareva said. About seven hours after seizing the theater, the rebels did kill a 26-year-old Moscow woman who had somehow entered the theater. On the last night of the siege, Oct. 25, Barayev ordered the rebels to separate the Russian and foreign hostages into two groups. A total of 75 were counted as foreigners, and since Gubareva's documents were at the U.S. Embassy, she and her daughter were initially identified as Americans. "They gave Sandy a phone so that he could call the American Embassy and get them to send a representative from the embassy the next day," Gubareva said. An agreement was finally made with the U.S. and Kazakh embassies for their release at 8 a.m. on Oct. 26, she said. Gubareva recalled Barayev announcing to the hostages that negotiations would finally begin at 10 or 11 a.m. on Oct. 26. "He said that everyone could relax until then, because there would be no assault until negotiations began," she said. 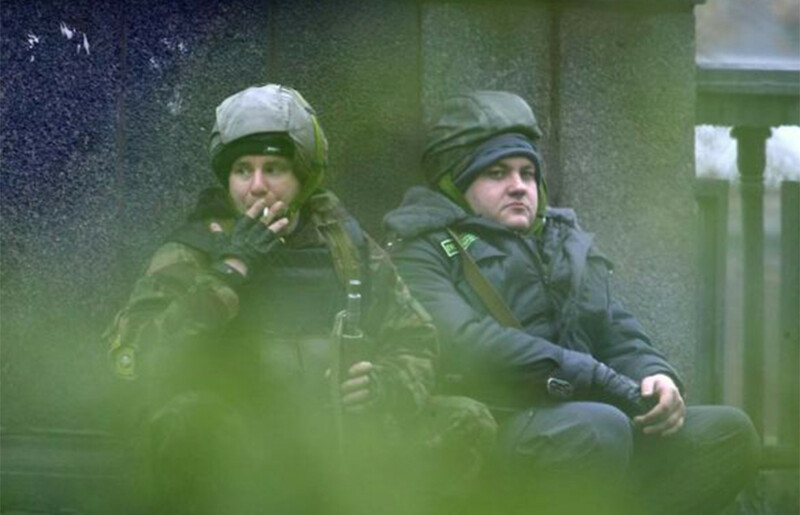 The hostages settled down to sleep, Gubareva said. The last time she saw her daughter and Booker was at 3:20 a.m.
"They were asleep in each other's arms," she said. Gubareva also fell asleep, only to wake up in the intensive care ward at Hospital No. 7. All the hostages and rebels fell unconscious at around 5:30 a.m. when special forces pumped a mysterious gas into the theater and then stormed it. The gas knocked out the attackers and the hostages without a shot being fired or a bomb detonating. A U.S. Embassy representative officially notified Gubareva about Booker's death two days later, on Oct. 28. When she went to the morgue to identify him the next day, doctors told her that he had died after not being treated for complications from the gas. Gubareva -- and many other former hostages and their relatives -- firmly believe that many lives could have been saved if the rescue effort had been better prepared. "We insist that there was a real mess when the dead bodies were being transported to hospitals, with live people mixed with dead bodies to die with no medical assistance," said Tatyana Karpova, head of Nord Ost, a nongovernmental organization. Her son died in the attack. She said a state investigation into the death found that a contributing factor was "the absence of a specific antidote to the substance that was used" to gas the theater. Prosecutors, however, decided not to bring charges against health-care workers or special service officers, despite complaints filed by relatives. In a decision made almost a year after the attack, prosecutors concluded that the deaths were "caused by a combination of unfavorable factors that were dangerous to life and health ... and by respiratory disorders caused by the action of the unidentified chemical substance." The decision also blamed the attackers, saying, "They refused to release children and foreigners as they had previously agreed to." The decision was not immediately released to the public, and Gubareva and the other relatives only obtained access to it through a court order. Gubareva said the attackers did not break any agreements. Her conclusion is at least partially supported by Kazakhstan's former ambassador to Russia, Altynbek Sarsenbayev. "We agreed that the release of the Kazakh citizens would be at 8 in the morning, but we did not know that there would be an assault that night," he said on the Kazakh television program "The Condition of KZ" on Oct. 26, 2003. 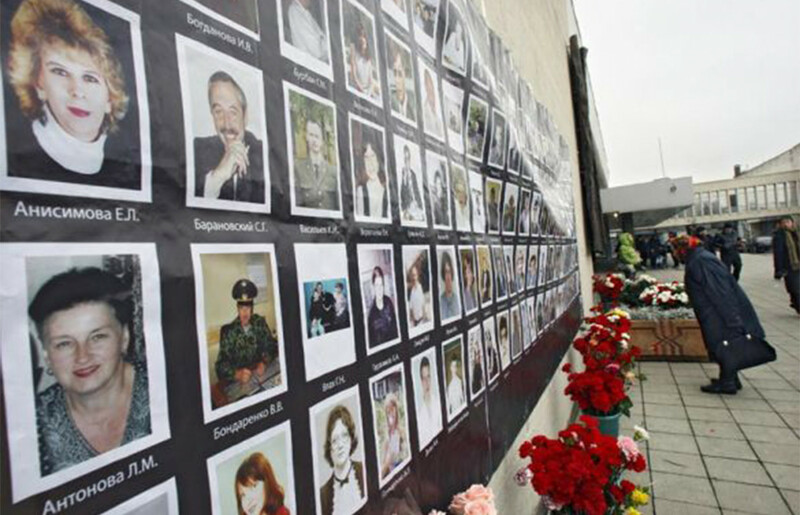 Gubareva lost a final appeal to open a criminal case into the rescue operation in 2005. The court also refused to compensate her for the loss of her daughter. "I do not know why the court refused all the applications of foreigners," said Igor Trunov, the lawyer for Gubareva and three other foreigners who lost relatives. Most Russian citizens accepted small government-ordered compensations, said Karpova, who lost her son. She said she was offered 615 rubles (about $25) a month but refused to take it. "The amount was just insulting," she said. Booker's relatives did not want to seek legal action in Russia, Gubareva said. Some relatives, however, have turned to the European Court of Human Rights in Strasbourg, which is now considering their appeal. Karpova said she had received a copy of the Russian government's reply to an inquiry from Strasbourg. "They say that everything was done just fine and everyone who needed help got it," Karpova said. She is sure, however, that the court will not agree. 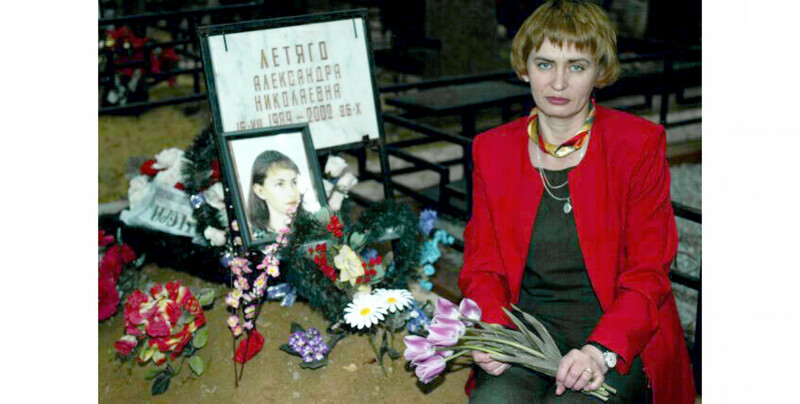 Gubareva plans to commemorate her daughter's death this Oct. 26 as she does almost every year -- at her graveside in Moscow's Troyekurovskoye Cemetery. Politkovskaya is buried not far away. "She always dreamed about living in this city. That's why I buried her there, not in Karaganda," Gubareva said. She has never visited Booker's grave, however. She said the United States is too far away.